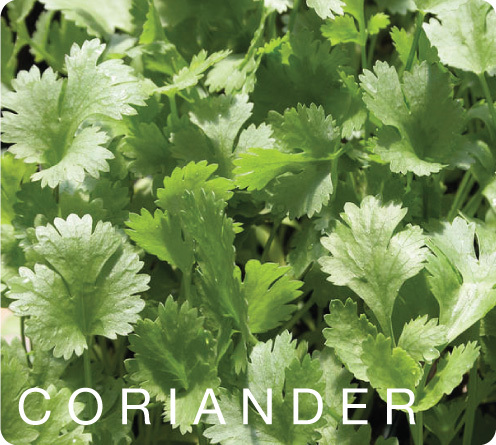 Coriander, also known as “cilantro” particularly in the Americas, is generally used around the world as a condiment, flavouring and garnishing in dishes. Coriander has eleven components of essential oils, six types of acids (including ascorbic acid, better known as vitamin-C), minerals and vitamins, each having a number of beneficial properties. Coriander is a good source of iron and dietary fiber. It helps in treatment of swellings, high cholesterol levels, diarrhea, mouth ulcers, anemia, digestion, menstrual disorders, small pox, eye care, conjunctivitis, skin disorders, blood sugar disorders.